Formerly Stephen Cherono, from Kenya, Saif Saaeed Shaheen is the sixth-born of nine children. 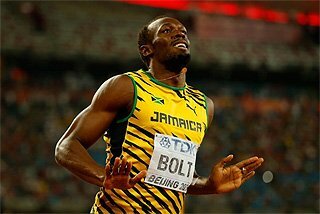 He comes from a family of successful steeplechasers, his two elder brothers each having won significant international medals. Christopher Koskei was the 3000m Steeplechase World champion in Seville in 1999 and Abraham Cherono took the 2002 Commonwealth Games bronze medal in Manchester, in the race won by Stephen Cherono. Shaheen started running motivated by Koskei, who finished second in the junior men‘s race at the 1993 World Cross Country Championship in Amorebieta, Spain. 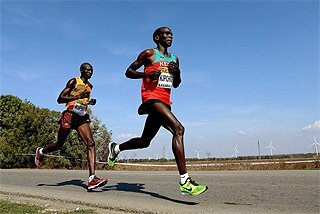 Impressed by that feat, and aged only 10 at the time, he started training lightly, but it was not until two years later, when he went to Marakwet Boys high school in Keiyo District, Rift Valley province, that he started light training sessions almost on a daily basis. This time, further influence came when Koskei won silver at the 1995 World Championship, in Göteborg, and the younger brother decided to try to emulate his success. However, Shaheen’s attempts were shrouded in confusion, unsure of which race he should take. And, after failing to win any race at 1500m for four years, his family advised him to try the “water hurdles race”. At this timely moment, Shaheen met a renowned athletics coach, Brother Colm O'Connell, who offered him invaluable tips on his new choice. Shaheen owes his early years in athletics to Bro O’Connell’s relentless efforts to see him win. It didn’t take long before both coach and athlete reaped the benefits of their wise decision. After clearing high school in 1999, and while with the junior Kenyan team at the IAAF World Youth Championships in Bydgoszcz, Poland, Shaheen won his first race in the 2000m Steeplechase (5:31.89). But, due to a technical error, his name was shortened in results to Cheruiyot Cherono from Stephen Cheruiyot Cherono. After his new-found status Shaheen made his debut on IAAF Grand Prix circuit, posting an impressive 8:19.12 in Zurich in his first 3000m Steeplechase in the IAAF Golden League, Zurich. It was also the World age 16 best. “1999 was the breakthrough year for me”, admitted Shaheen, “The foundational year of my career upon which all other accolades, victories and records are anchored.’ This was even after he achieved another milestone in the 3000m in the IAAF Grand Prix I meeting, in London, posting 7:48.6h for another World age 16 best. However, his arrival in the limelight was followed by a personally emotional 2000. 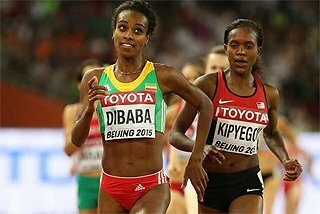 “In April 2000, I suffered a serious bout of typhoid and its accompanying fever after running 1500m at the KAAA permit meeting in Eldoret,” Shaheen recalled. According to Shaheen, “An official of the then KIM (KIM International Management) controversially refused to accord me the necessary support for medication. He gave me money to go to the hospital and I realised that it wasn’t even enough for a taxi to the nearby hospital, leave alone medication. I went home and sought treatment from my family and friends and subsequently missed all major championships and races until October that year”. Shaheen then made a comeback in the KAAA 4km cross country, in Eldoret, where he finished second. “No one had bothered to find out how I was faring and some dismissed my performance as the last signs of a rising star. I then realised my emerging running career would reach its sunset under the circumstances and treatment. In fact, fearing an attack of stress and depression, I contemplated quitting”. However, something significant had happened during the period of his illness. Due to perceived negligence and lack of consideration from Kenyan officials, Shaheen realised he needed to quit Kenya, not athletics. He decided to seek a change of citizenship “at the first available opportunity”. Shaheen’s new state of mind was reflected in his races in Europe. He lined up over 1500m at the IAAF Grand Prix II meeting, in Gateshead, England, on 19 August and posted 3:37.27 for second place behind fellow Kenyan Paul Bitok (3:36.87). Buoyed by this performance, five days later Shaheen set a 3000m Steeplechase World junior record of 7:58.66 while finishing third at the Memorial Van Damme Golden League meeting in Brussels. and winning GL Berlin one week later. Meanwhile, Shaheen’s decision to run for Qatar was ruffling Kenyan official feathers. And, while it initially played out in the boardroom, Shaheen remained unaffected in public. In 2002 Shaheen changed coach and joined the Gianni Demadonna group and here met the Italian coach, Renato Canova. However, although awaiting the outcome of his application for change of allegiance from the then Kenya Amateur Athletics Association (now Athletics Kenya), Shaheen continued running for Kenya, becoming the national 3000m Steeplechase champion, and also the 2002 Commonwealth Games 3000m Steeplechase champion in Manchester on 27 July, and winning bronze at the African Championships in Radès, Tunisia, on 8 August. 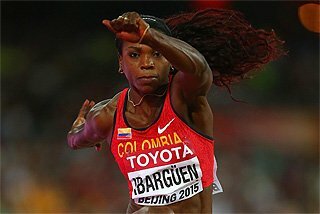 IAAF rules state that, having once represented a member federation in international competition, an athlete who changes citizenship cannot represent the new member federation in international competition for a period of 3 years, which can be reduced 12 months with the agreement of the member federations concerned. Having last represented Kenya on in August 2002, Shaheen skipped the Kenya cross country trials in 2003 and Kenyan trials for the track and field World Championships in Paris, although he continued competing individually in a number of IAAF super grand prix events in Europe. But, just before the IAAF Golden League, Zürich 3000m Steeplechase, he received the letter of release from the Kenyan federation. August 2003 was the axis of change in his life and the beginning of a Kenyan public inquiry into his decision, a debate that he started and which continues each time a similar situation arises. By the second week of August 2003, Shaheen had become a Qatari citizen. Duty called immediately. For the first time as a Qatari national, Shaheen beat former countryman Ezekiel Kemboi in 8:02.48 in Zürich. Just days later, at the World Championships in Paris, Kenyans were shocked to see “their own” Stephen Cherono competing as Saif Saaeed Shaheen representing Qatar, competing against Kenyans and winning his first 3000m Steeplechase World Championship in 8:04:39. He also beat his brother, Abraham Cherono, who finished fifth competing for Kenya. This was unprecedented and too much for a fragile nation that had just completed a tense general election and was seeking cohesion. “Contrary to reports, my brother did not refuse to congratulate me for the win,” Shaheen said. “He had walked away by the time I finished the lap of honour.” His high profile defection was felt all over Kenya with the new President, Mwai Kibaki, urging Kenyan athletes to resist the temptation to change their citizenship for financial gain. The World champion has since denied this and other speculation surrounding monetary gains, saying he does not regret his decision to move to Qatar. He points to the moral support he has received over the years which, according to him, has made the difference since 2003. To further boost his shape and manage his increasing schedule, he changed coach and agent in 2003 to PACE Sports Management and worked with Ricky Simms, who doubled as coach and agent. Shaheen vowed to prove a point to make up for this unprecedented disappointment. A week after the Olympic medallists were still celebrating their feats, he upstaged the freshly coined Olympic champion, Ezekiel Kemboi, in the Golden League meeting in Brussels where he lowered the World record by 1.65sec to 7:53.63. “That was my Olympics. I felt even”, jokes Shaheen. He says he wants to remember the World record and not the disappointment of missing the Olympics. Victory in the World Athletics Final capped a series of six wins in as many races over 3000m Steeplechase for the dominant Shaheen. In 2005, Shaheen’s top form continued. At the World Cross Country Championships in St-Etienne/St-Galmier he finished fourth in the 4km race and eighth in the 12km race, then continued his dominance on the track, remaining undefeated in the Golden League series across Europe. 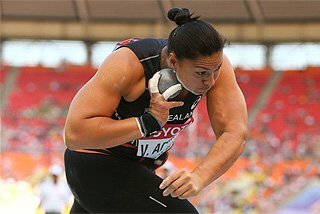 Unknown to many, Shaheen travelled to Helsinki for the track and field World Championships with a hamstring injury caused by what her termed wrong hurdles technique. “I strained my right leg while attempting to fit into my then coach’s instructions,” he said. 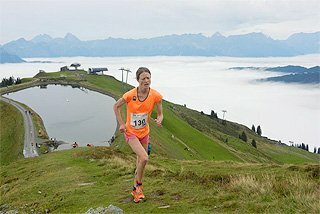 “I got hurt and skipped training for a week prior to the championship”. Even with these difficulties, Shaheen was crowned World champion. Having been unsure of his title defence just days before the championship with the developing hamstring, he clocked 8:13.31. With the injury beaten in 2006, Shaheen contested the Great Edinburgh cross country, where he finished second behind Kenenisa Bekele. His indoor debut at the Asian Indoor Championships in Thailand in February 2006 paid a dividend when he won his first Asian 3000m title. His second indoor competition was at 3000m at the World Indoor Championships, in Moscow in March, where he again finished second (7:41.28) behind Kenenisa Bekele (7:39.32). 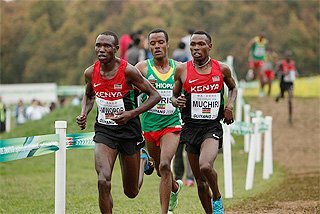 The silver medal was a reassurance of his shape but it was here that he suffered an Achilles tendon injury that, he says, was responsible for his ninth place in the World Cross Championships in Fukuoka, Japan, in April. After a month’s break, Shaheen managed an unexpected 7:56.63 in the IAAF Super Grand Prix in Athens. But more trouble awaited him after he discovered that he had suffered patella tendinitis at the Golden League meeting in Brussels, where he won but disregarded the doctor’s advice not to put further pressure on his right knee. Defiant, Shaheen went on to score a double in 3000m Steeplechase and 5000m at the World Cup in Athens. But, a week after, he felt a more pain of a “different degree” in the same right leg and it was confirmed to be the nagging Achilles tendon injury. The consequences were dire and came immediately when missed his home event at the Asian Games in Doha, Qatar. The full extent of his injury descended on him when he realised that he couldn’t walk unsupported for some time and he was on crutches for the better part of the injury period. He eventually flew to Germany for an operation by renowned specialist Dr Müller Wohlfahrt, then relocated to Ireland for several weeks to recuperate, and went to Belgium for further treatment. He travelled to the Aspire Academy in Doha for further checks and medical attention, after which he felt much improved. It was not until April 2008 that Shaheen embarked on light training and decided to race in the Prefontaine Classic in Oregon. 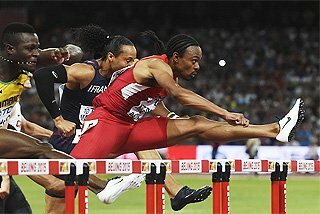 But he realised that the affected leg lacked power and speed. 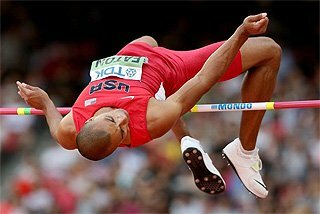 While the leg still felt painful on impact and landing, his quest for an Olympic appearance took him to the IAAF Super Grand Prix, In Athens, where he completed only four laps before limping out with pain. “Just how close was close?” wondered Shaheen after failing in his second comeback attempt. He decided to write off the season and forfeited his second chance at the Olympics. After a tumultuous working relationship with his Italian coach that led to frequent disagreements, Shaheen parted ways with Canova and went back to be coached by Pace Sports Management. 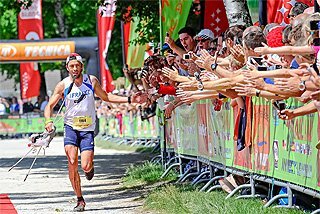 In February 2009, he made a strong statement of intent by winning the Cinque Mulini cross country, in San Vittore Olona, Italy. But, weeks after that, he bowed out of the KCB/AK Kenya cross country permit meeting in Eldoret, leading to renewed murmurs about his recovery status. 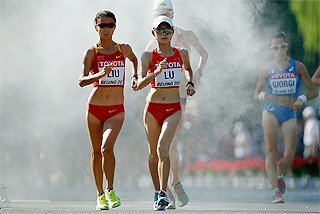 When he again failed to finish the Kenya cross country trials, in Nairobi, the speculation became rife. Shaheen is set to lead a strong six-man Qatari team in Amman, where he not only plans the biggest return to competitive athletics in two years, but also use the platform to launch his return programme for 2009, including recapturing his world title in the 3000m Steeplechase. And another record perhaps? “Let’s meet in Berlin in five months time to see about that,” he said. 3000m Steeplechase: 1999 – 8:19.12; 2000 – 8:16.27; 2001 – 7:58.66; 2002 – 7:58.10; 2003 – 7:57.36; 2004 – 7:53.63; 2005 – 7:55.51; 2006 – 7:56.32; 2007 - ; 2008 - . Prepared By Saddique Shaban for The IAAF ‘Focus On Athletes’ project. 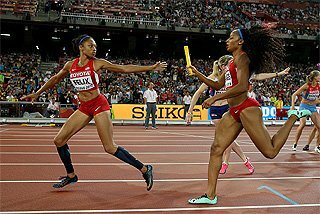 Copyright IAAF 2009.